What if I was your angel? What if I was your hero? And I had the answer? And you were my ember? What if I was your healer? Your light and your light? Why don’t you let it go? When did the lights burn low? Why did you turn and go? At least ‘till the candle burns out…. How the music would live! The music we found in you…. Are you a performer or a production company seeking that perfect song written just for you? Or a composer or lyricist looking for a collaborator to fit your music with just the right lyrics, or your words to the tune and accompaniment/instrumentation they were meant for? Michael is available for all your songwriting needs (specializing in pop-rock, classical, film scoring, and musical theater). For more information, please send us the details of your project via the contact page. 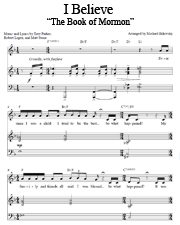 Have you ever had your heart set on performing a song, but you couldn’t find the sheet music? 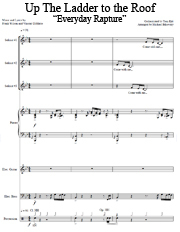 Michael can create custom sheet music just for you, giving you the best possible arrangement for any song – whether for piano-vocal, full orchestra, rock band, or anywhere in between! Michael listens to the recording of a song and writes down everything he hears – one note at a time. For a reduction (such as full orchestra to piano-vocal or small band), Michael then considers which instruments were requested, and uses those instruments to their optimal extent in order to match the sound and energy of a full orchestra. 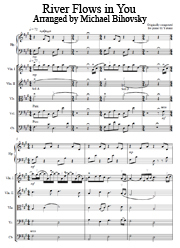 For an orchestration (such as piano to rock band or full orchestra), Michael analyzes the style and harmonic structure of the original piece, and then expands upon these ideas to create a rich, full orchestration using all available instruments. Prices range depending on the nature of the project and quality of the original recording. 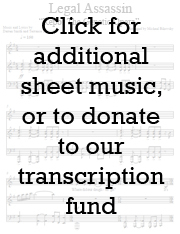 Unlike digital sheet music websites where sheet music is sold in bulk, custom transcriptions or arrangements are a large undertaking for a single client.